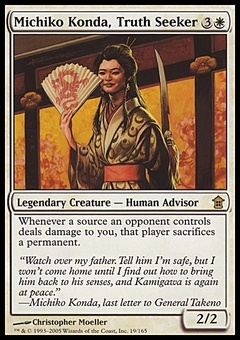 Searing Blaze ($1.55) Price History from major stores - Worldwake - MTGPrice.com Values for Ebay, Amazon and hobby stores! 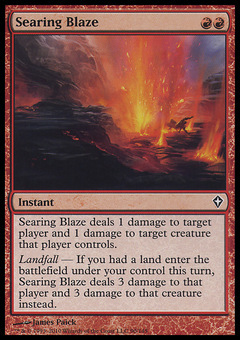 Card Text: Searing Blaze deals 1 damage to target player and 1 damage to target creature that player controls. 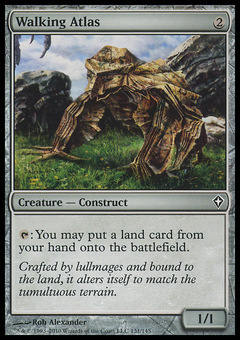 #Landfall# - If you had a land enter the battlefield under your control this turn, Searing Blaze deals 3 damage to that player and 3 damage to that creature instead.